Your Attorney needs to write a Claim Letter or any other Document needed for the Case-the Software will allow you to Quickly Find Exactly what he needs. You can choose the Format that Best Demonstrates the Issues in the Case. Timelines, Summaries, Deposition questions & Select Specific Information needed to Support the Case. Samples of the Chronologies and Work-Products from the Software can be viewed by opening the "Links"
Organize Voluminous Amounts of Medical Records into a clear, concise, easy to understand Chronology. The Software lets you work efficiently saving you time when preparing the Medical Chronology of the Events leading to your Client's Injury. The Software will save and sort entries automatically. This is nice for late entries. The Software is very easy to use. You work on ONE Entry Screen and you only enter information ONCE and then you can Create Various Reports. Sample of the Medical Record Chronology Medical Record Chronology. You can add Notes to the Chronology with added 1-2 Columns then with "One Click" those Notes can be removed from your Chronology if needed. Charts & Graphics can be used for Trial Exhibits-Charts are Easy to Create with the Software Demonstrate the "Big Picture"
Both Timelines & Charts can be blow-up at a copy center to be used for demonstration purposes. 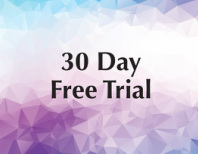 This is a cost saving way to have Trial Exhibits for your Case. "Link "to the Medical Records from the Chronology. Have the List of Players at your finger tips. List of Players This List can be made when entering your Chronology. Deposition Questions can be created in the Software when reviewing the Chronology. The Software has a Billing Analysis Tool that adds the Math automatically and will help you organize the Client's Medical Bills. This Billing Analysis is attached to the Client's Chronology and can be created when entering the Chronology. There is a Case Calendar built into the Client's Chronology to keep track of important events about the Case. All Reports from the Software Export to Microsoft Word and Excel. This is nice for desired annotation, using the Microsoft Cloud application and E-mailing. 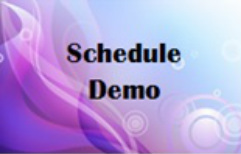 Call for a Demonstration to see all of the Capabilities of our Medical Chronology Software. Plus, the Software was written to be very user friendly and Support is always available.